This really has turned into project day. 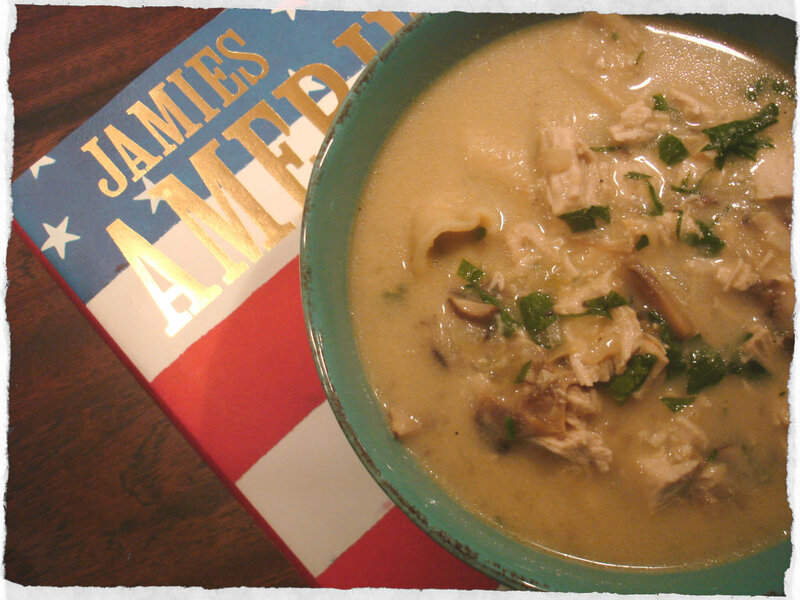 We had turkey stew for dinner tonight – another Jamie Oliver recipe from his ‘Jamie’s America’ cookbook. I wanted to make it because it looked really good in the book, but I was also a bit weary because it has papardelle dumplings and I have never made pasta before. But turns out it’s not that difficult. The stew turned out great, very tasty. The sauce didn’t turn out as thick as I would have liked but I’ll fix that next time. The dumplings did however turn how a bit too thick, but cooked perfectly however. 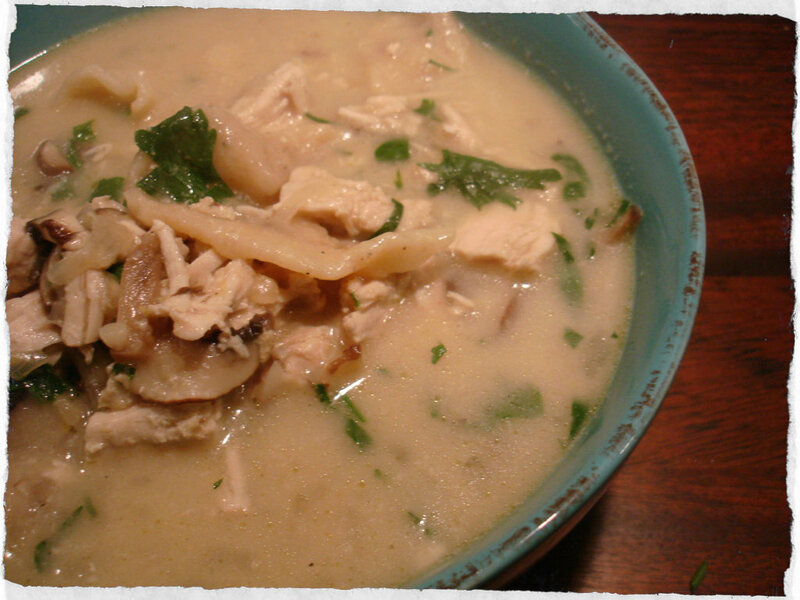 I think that the thing that sets this turkey stew apart from a regular stew is the fresh parsley and fresh garlic you add at the very end. I was amazed at how much taste half a garlic clove gives the stew. So all in all, a good result but with room for improvement. Put a large frying pan on a medium heat and add your diced onions and a olive oil. Fry gently for 10 minutes or so. 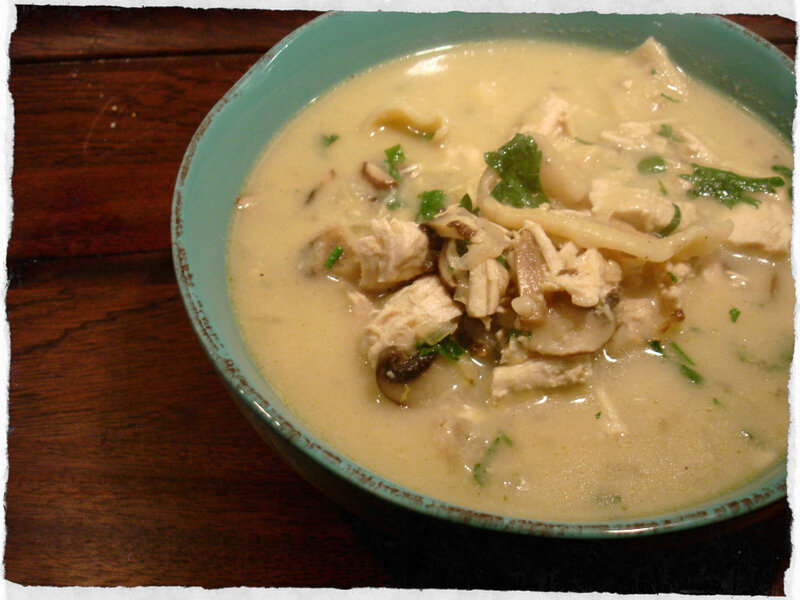 Add the sliced turkey and pour in 1 liter of chicken broth to cover the turkey completely. Don’t worry if it looks like a lot of liquid, the dumplings will soak up a fair amount. 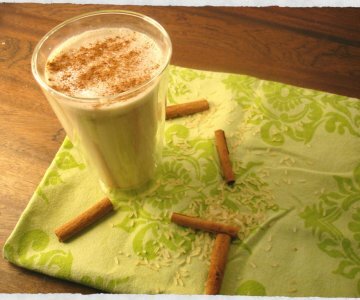 Bring to a boil, then turn down the heat and simmer gently for 30 minutes with the lid on. 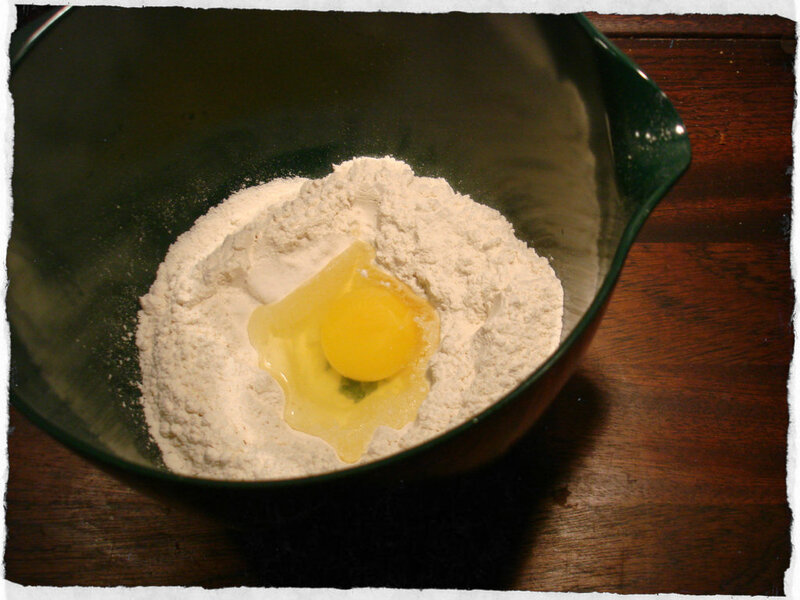 Put the flour into a mixing bowl, make a hole in the middle and crack in your egg. Add a good pinch of salt and pepper and 5 or 6 gratings of nutmeg. Mix together with a fork, add 2 to 3 tablespoons of the simmering broth from the pan, a splash at a time, and knead until you have a smooth dough. Cover the bowl with plastic wrap and put the bowl into the refrigerator. When the turkey is ready, shred the meat apart with 2 forks before returning it to the pan. Let it thicken while you finish the dumplings. 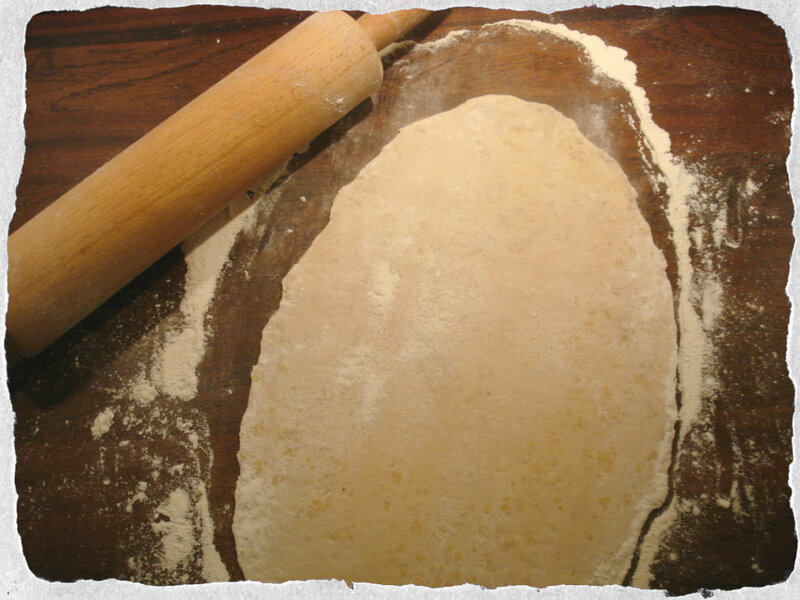 Dust your tabletop and rolling pin with flour and roll the dough out until it’s roughly 40 x 60 cm. 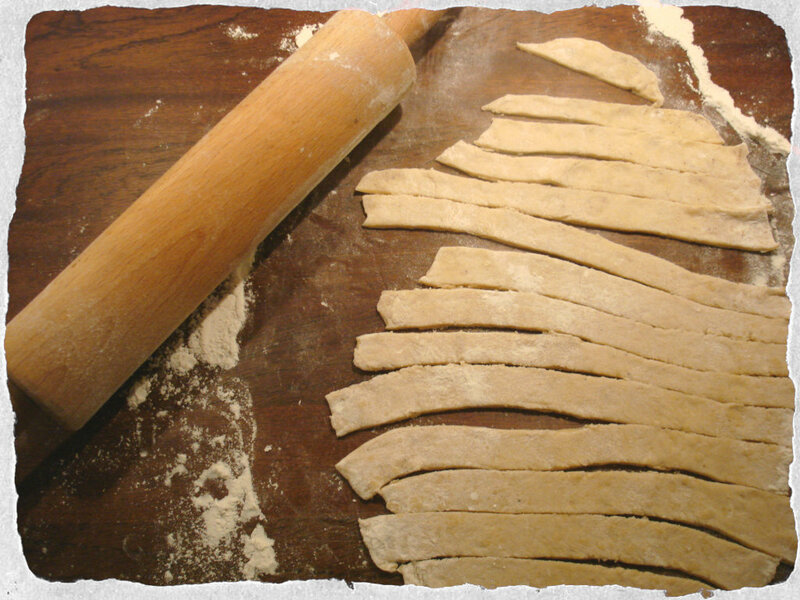 Slice into 18 to 20 ribbons about 2 cm wide and stir them carefully into the stew. Bring back to a boil, then turn down and simmer gently for 10 minutes. 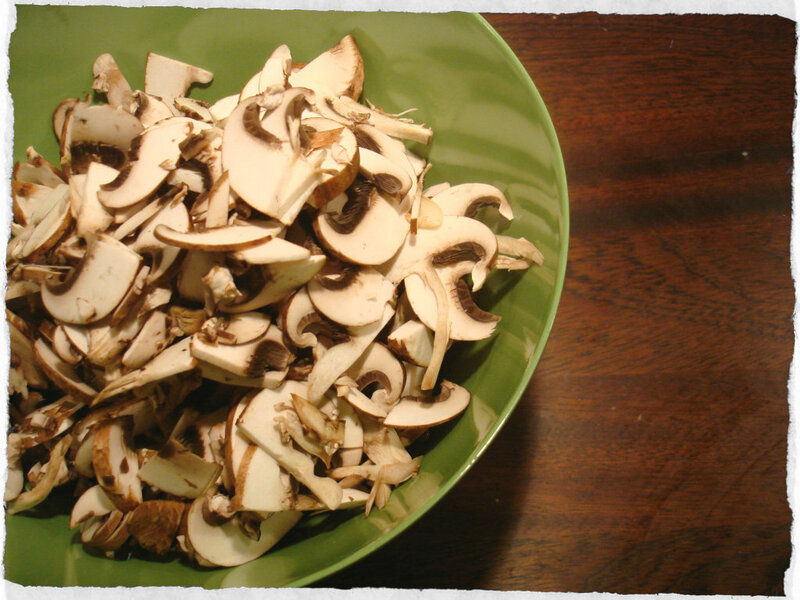 Add the mushrooms to the pan with the cream and stir. 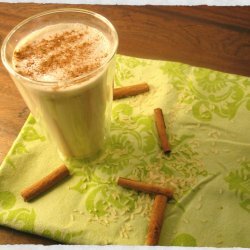 Have a taste and season with salt and pepper. At this stage your dumplings should be soft and cooked through, so roughly chop your parsley leaves and add them to the stew. Zest the lemon over the stew along with ½ clove of garlic right at the end. Stir, then check the seasoning one last time. And now its ready to serve. Of course, I always look forward to Food on Friday!